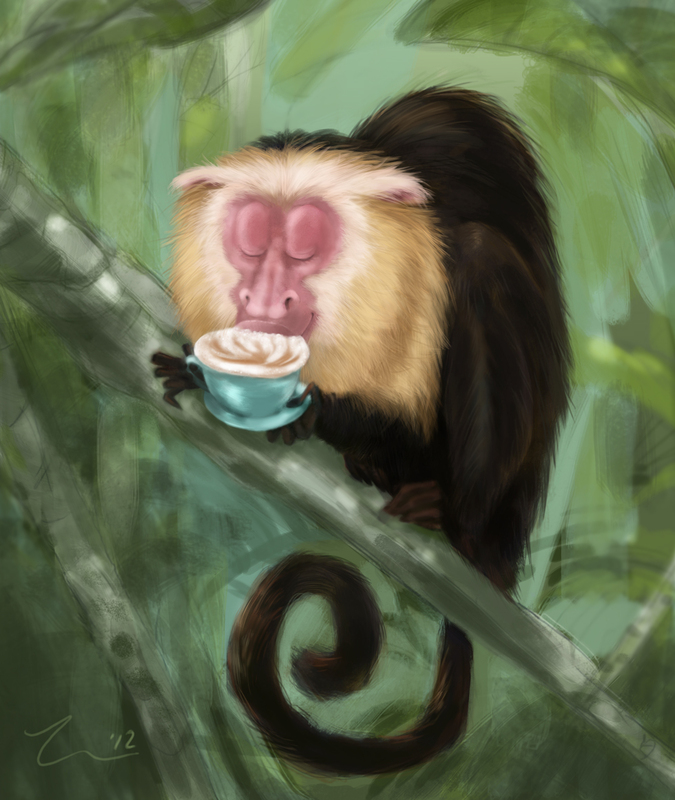 Painted this capuchin with a cappuccino in Photoshop this week -- get it? hehe.. ya, that's pretty much how my brain works. I had to do some research to render that cappuccino foam. It was delicious.